Subs, Grinders, Hoagies, Po-Boys, Heroes, Submarines. Whatever you call them, they’re a central part of the national diet, especially for lunch. A long roll filled with deli meats and/or cheese along with toppings such as lettuce, tomatoes or peppers, and condiments such as mustard and olive oil sounds like a simple thing to make, but discerning eaters know that not all deli sandwiches are created equal. #1 (tie) All About the Bread (7111 Melrose Ave, Los Angeles near West Hollywood) The name pretty much says it all. I’ve loved every sandwich I’ve had here, but my favorite is the Buratta with Sundried Tomatoes, Fresh Basil, Homemade Pesto, Tomatoes and Roasted Peppers. It’s one of the best things ever. #1 (tie). 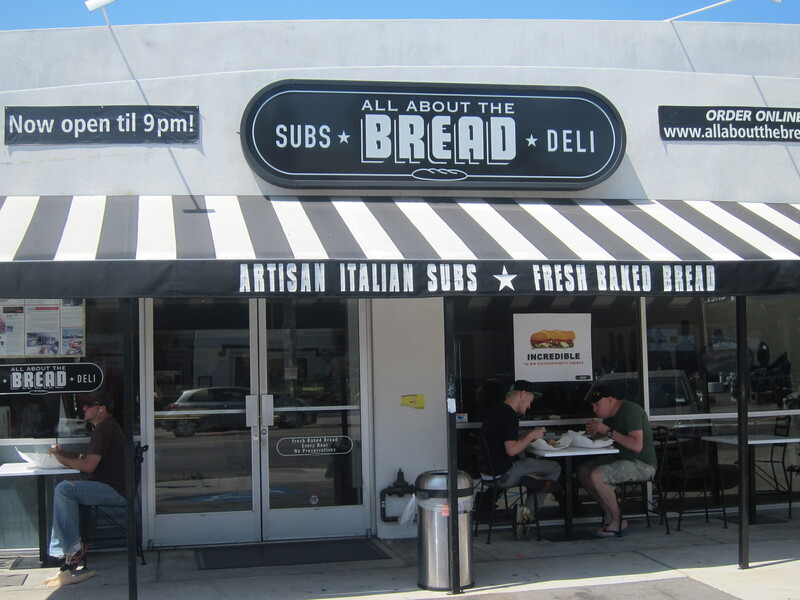 Bay Cities Italian Deli & Bakery (1517 Lincoln Blvd, Santa Monica) The insanely good bread is the secret to their huge success. My favorite sub is The Godmother (Genoa Salami, Mortadella, Capicolla, Ham, Prosciutto and Provolone) with “The Works.” I challenge you to find a better sandwich. 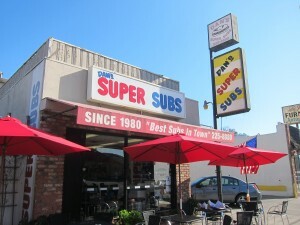 #3 Dan’s Super Subs (22446 Ventura Blvd, Woodland Hills) It’s one of the only restaurants that I love in the West Valley. Their delicious bread has sesame seeds and is steamed for each order. Subs are completed with Dan’s signature chopped tomatoes and pickle spears. Not open on Sundays. 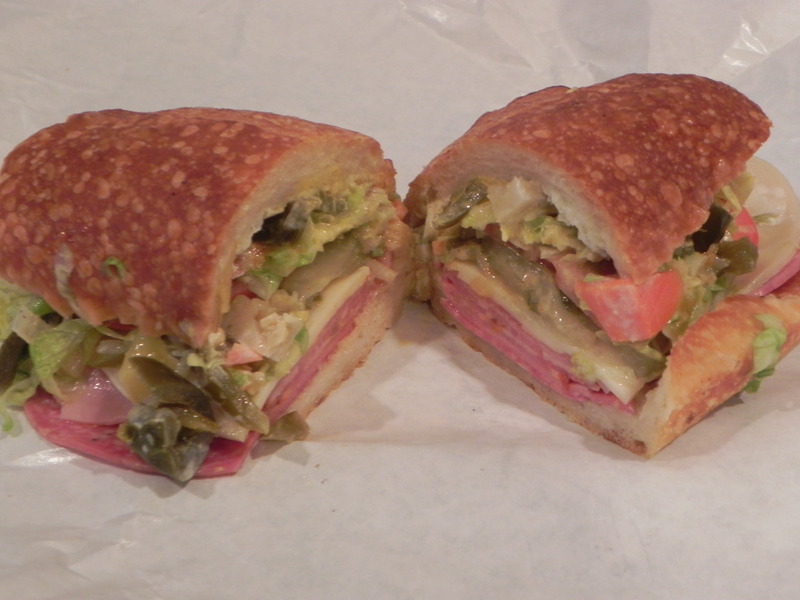 #4 Ink Sack (8360 Melrose Ave., Los Angeles in West Hollywood) Celebrity Chef Michael Voltaggio’s sandwich shop serves creative versions of classic subs. My favorite is The Jose Andres aka “The Spanish Godfather,” which is named after Voltaggio’s mentor and former boss at The Bazaar. It’s made with Serrano Ham, Chorizo and Manchego Cheese. 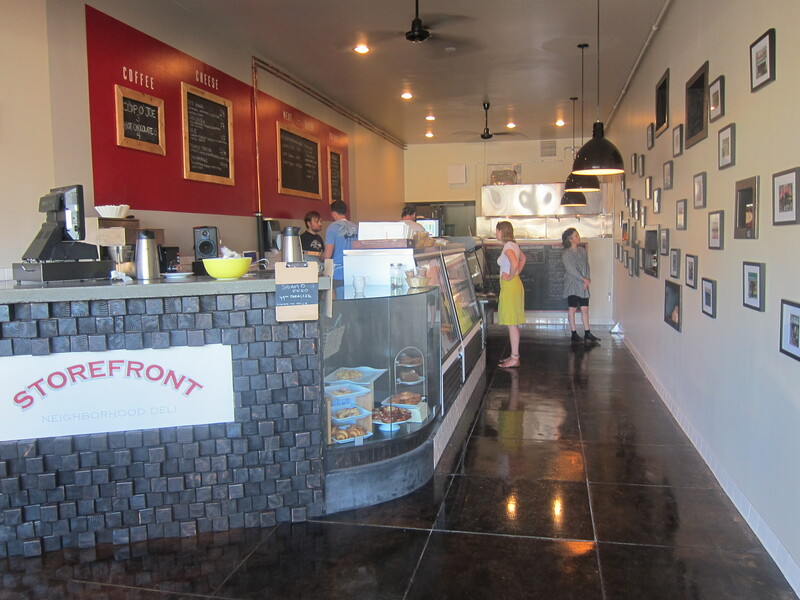 #5 Storefront (4624 Hollywood Blvd, Los Angeles in Los Feliz) This Eastside hipster sandwich shop is the new kid on the block and was opened only a few weeks ago by the chefs of Salt’s Cure. 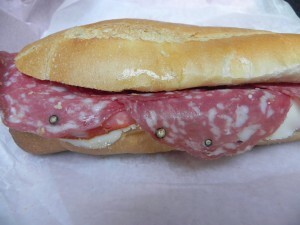 I am already impressed with “The Mousa” (pictured above), their Italian deli meat sub which includes picked cayenne peppers. 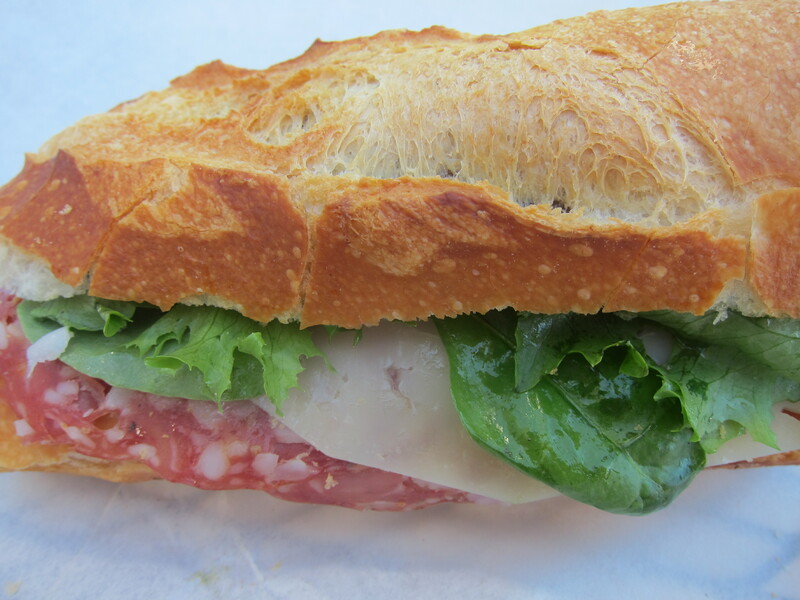 #6 Larchmont Village Wine Spirits & Cheese (223 N Larchmont Blvd., Los Angeles in Mid-City) This gourmet wine and cheese shop has some of the city’s best Italian sandwiches, which are served on either a crusty baguette or soft ciabatta. They all come with a nice little side of olives and cornichons. 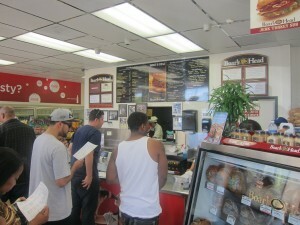 #7 Mike’s Deli 4859 W Slauson Ave, Los Angeles in South LA) There are very few tables and it’s generic and fast food-esque in appearance, but this simple deli makes simply great subs with top-notch ingredients including Boar’s Head meats and cheeses. A second location opened recently in Little Tokyo. #8 Mario’s Italian Deli & Market (740 E Broadway in Glendale) A Glendale institution, Mario’s is an old-school Italian market with all sorts of imported goodies and a very popular deli. They cut their sub rolls in thirds lengthwise, so that there is a “mezzanine” layer of bread in your sandwich between two layers of filling. #9 Busy Bee Market (2413 S Walker Ave, San Pedro) If you’re in the South Bay, it’s the place to go. 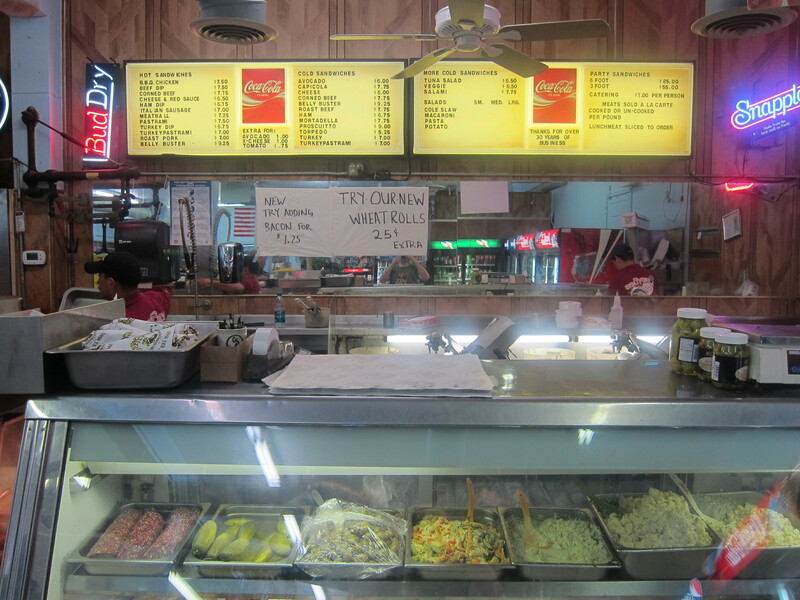 This unassuming deli counter in a small and rundown-looking neighborhood market turns out excellent subs on super-soft bread. But be warned: it’s cash only, take-out only, and they’re closed on Sundays. #10 Roma Italian Deli & Grocery (918 N. Lake Ave, Pasadena) Enter this little Italian market, go to the counter on your right and ask diminutive elderly Rosario to make you “The Sandwich.” Watch as he prepares it with fresh meats and cheese and no toppings or condiments other than olive oil. Consume and enjoy. UPDATE: I’m sad to report that Storefront has closed. If you enjoy Consuming LA, subscribe for free at the top right of this page and you’ll get an email once a week when I post. And please forward this to your friends, repost on facebook and retweet! no eastside market italian deli? does that even make top 15? I think Eastside Market Deli is pretty good. Not top 10 for me; maybe top 15. Ever tried Wally’s Cheese Box? Great sandwich. I haven’t tried Wally’s Cheese Box which is surprising since I went to three different sandwich places in Westwood over the past couple weekends for this piece. Will have to check them out. Mendocino Farms. 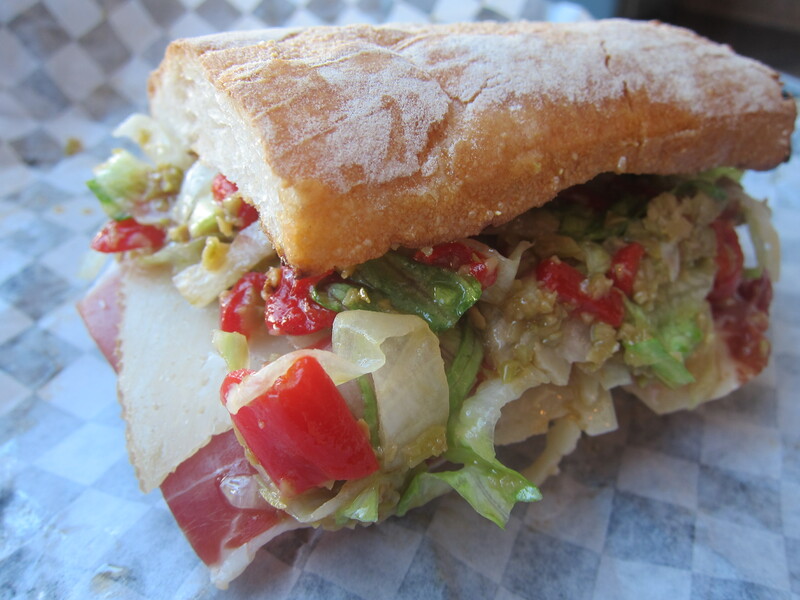 Their menu of experimental sandos changes seasonally, but always includes a version of the Italian sub. Top-quality meants and a unique, hot pepper “relish”. Also (as long as it’s my turn to hold the sharing roll) Mario’s does not deserve a spot on even a top 15. Boring sandos with too much bland bread. Their location means they’ve little local competition, but skip them and make the extra drive to Roma. I love Mendocino Farms but didn’t include because I don’t consider them a sub shop. thank you! i love sub sandwiches. i’ve already tried several of these places. love busy bee, mike’s deli and bay cities. i’ll now have to try the others too. oh, and definitely enjoy mendocino farms. Thanks! I hope you like the others. We LOVE Dan’s and was glad to see it as high on the list. I need to point out that it is open on one Sunday and that would be Super Bowl Sunday, but order early. Dan’s is such a great place and most people outside of the West Valley are unaware of it. Thanks for the clarification. Very good to know! 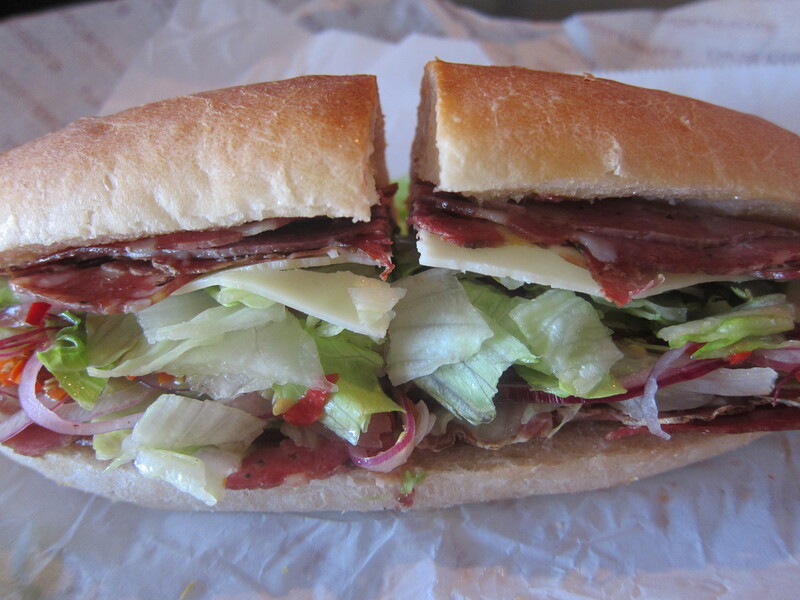 Subs from Dan’s are perfect for watching the Super Bowl. We love All About the Bread! Best subs ever, especially the burrata sub and the Milan salami. Yum! I’m completely obsessed with All About the Bread! Dope spot for sammy’s. Bulgogi Hoagie is quite delicious. San Carlo Deli in Chatsworth should be on that list. It’s similar to Bay Cities. Thanks. I’ll check out San Carlo Deli. Don’t overlook santoro’s in burbank! Great rolls! 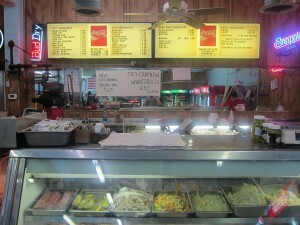 DeFrankos in Van Nuys..Ultimate hole in the wall..Lines always, owned by an amazing lady, Drew..about 30 years…if I don’t eat at the 5 seat counter or outside, I’ll go to the viewing area at van Nuys airport down the street by fire department..
New to your blog. Lived in Woodland Hills for 20+ years and now in Thousand oaks. 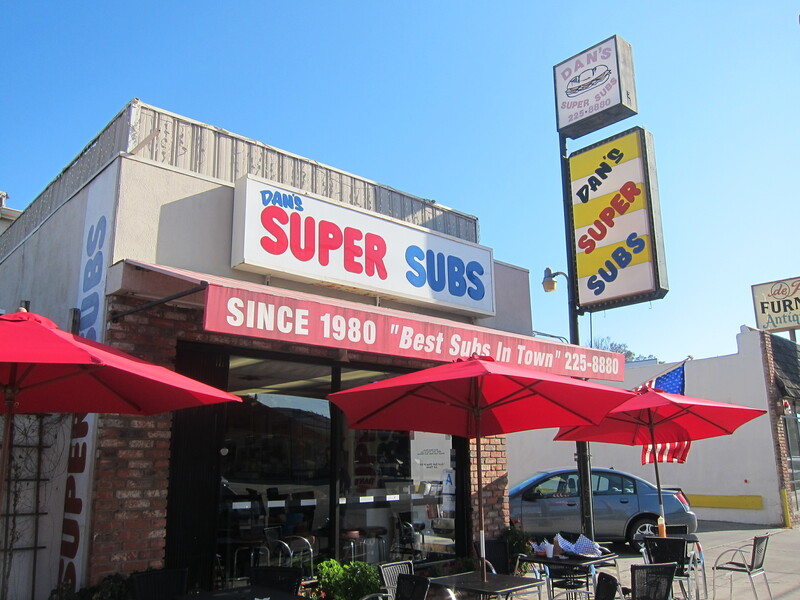 Dan’s Super Sub is the very best. Love their slogan which is oh so true … ” you’ll remember the taste long after the price”. Their #10 Pastrami and cheese can not be beaten. 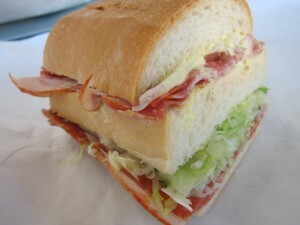 Victor Jr.’s in Culver City has the tastiest Italian sub I have ever eaten. they also have garlic fries and very good white pizza.